Firebird Business Consulting Ltd. can work with your sales person / people, sales team, management and owners to help make the changes needed to achieve your desired sales targets, sales budgets and desired business profits. We have real life sales experience developing small, non-profitable sales territories into profitable sales strategies. We have transformed businesses from no revenue to generating large sales and profits, and worked with businesses that were at a ceiling and needed help to get to the next level. We understand what it takes to be out generating the revenues for the company, as well as the challenges and opportunities sales professionals face. We work with management to put the processes, metrics, and systems in place to grow your current clientele and convert prospects into good clients. We evaluate your sales systems and process to discuss what is working and what is not. The new systems and processes need to make sense for your business. We meet regularly, managing the process until the client, employees and sales professionals are happy and able to manage the new strategy. 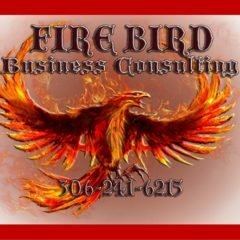 Firebird Business Consulting Ltd is unique – we have both marketing and sales experience and know how to tie both strategies together to get excellent results. Sales strategies should complement one another and not create silos. Not only do our strategies work with the sales team but they develop a culture to move everyone in the same direction.